All safaris are on full board basis including all game fees. Extra would only be drinks and tips. Children under 12 years would go on half price off road safaris and 25% off air safaris. Half price for children applies only if a child is sharing one room with two adults. Payment for all tours can be made in Sterling, Dollar, Kenya Shilling, Travelers Cheque, or Credit Card (Master Card or Visa Card). Tour of the island including visits to Fort Jesus and the old town. Call at the Akamba Handicraft Industry, temples and markets, and there is good opportunity for souvenir shopping. 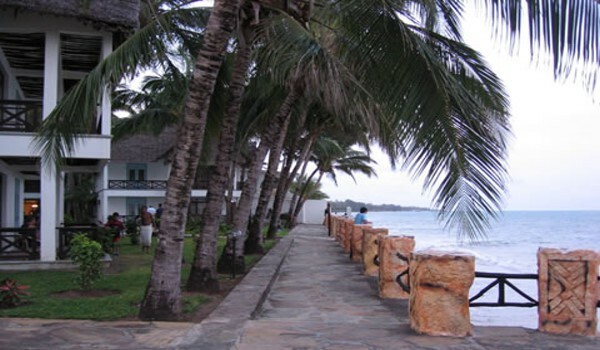 A morning tour of Mombasa including visits to Fort Jesus, the old town, the old harbour and the Akamba Handicraft. 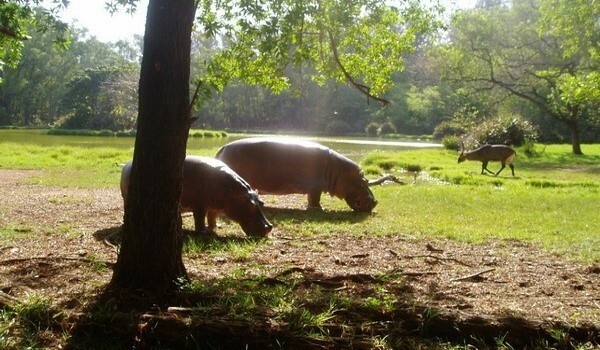 The afternoon will be spent viewing animals at the Bamburi Quarry Nature Trail after taking you to lunch at one of the interesting restaurants in Mombasa. You will then drive home in the late evening after watching the feeding of the animals at the Nature Trail. Drive to Malindi. On arrival, a cruise in a Glass Bottomed Boat, Snorkeling and Fish Feeding in the Ocean Marine Pack. After lunch there are visits to a falconry and snake farm. Enroute home visit the Gedi Ruins in The Lost City of Gedi. Return to your hotel in the early evening. Traditional Arab Dhow Sailing - A chance to see dolphins, turtles and whale sharks. Let the Bajun Crew entertain you in true Lamu Style. 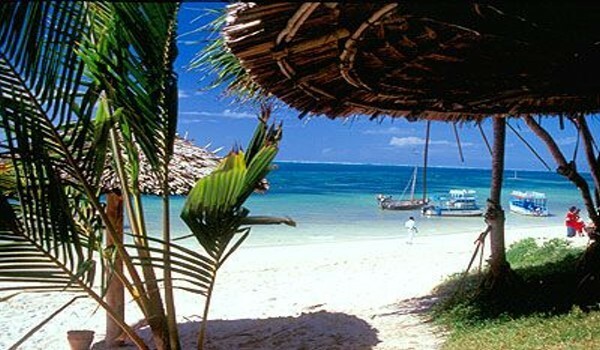 Wet Option - The dhow anchors off a coral fringed sand bar. Time for swimming and snorkeling. 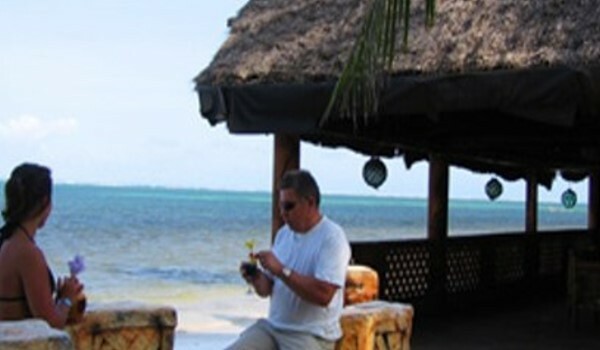 Dry Option - Visit wood carvers, maasai displays, traditional witch doctor, local cooking display, sea water tropical aquarium. Lunch at a waterfront restaurant, mainly game meat barbeque. After lunch Sail down the creek (inland water ways) seeing mangroves, tropical vegetation, Baobab Trees. On board the dhow entertained by acrobatic troops/limbo dancers, fashion show, hair styling and music singing. You return to your hotel in the early evening. Sail from around 5.30 p.m at the Mtwapa Creek watching the sun going down. On board entertained by the Limbo Fire Eaters and the Acrobats. Also hair styling and Fashion Show is done on board. Arrive back at the Jetty in time for dinner. Maasais welcome you with big Fire Flames to direct you to the Aquamarine Restaurant at the waterside where your dinner will be served. Drive back home in the late evening. This evening cruise is aboard the graceful dhow "Nawalikher", which translates as "Gateway to Heaven". You sail down Tudor Creek enjoy cocktails as a local guide points out the sights. The highlight of the evening is a four course dinner with a choice of seafood or meat, accompanied by the dhow's band. Power Cruise trip to Kisite Marine Park where a variety of unforgettable marine life may be encountered including dolphins, humpback whales, turtles and whole sharks.? 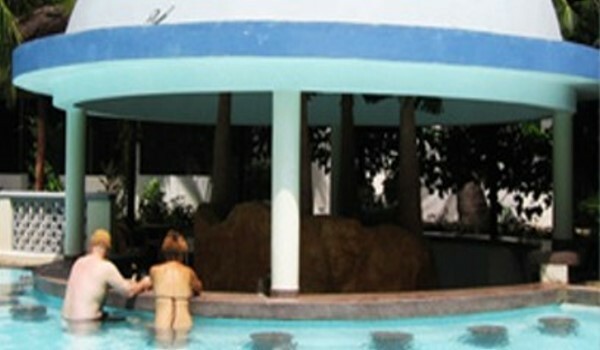 You normally have an opportunity to swim and and spend time with the dolphins and snorkeling.? Drive down to Maftah Bay for lunch. After lunch explore the ?Bird? Island and the world reknown Gazi Mangroove Forest by canoe.? Transferred back to resort before sunset. Not everyone can come to Kenya and see all Kenyans.? The idea is to make people learn about Kenyans and Kenya itself.? Here is an exhibition of various tribes of Kenya.? Nearly twelve tribes exhibit all their cultural activities and practices.? It is interesting in the afternoon. Mr. Rodwell has always been a successful fisherman, so you can either do four or six hours of fishing.? If you catch fish Mr. Rodwell would not mind giving it to you. ONE DAY TSAVO EAST - Thursdays, Full Day. You drive up the Mombasa - Nairobi road and enter the vast Tsavo East National Park.? The morning is spent game driving amongst the herds of elephants and plains game.? Be always on the lookout for a Lion or Cheetah.? An excellent buffet lunch awaits you at Voi Safari Lodge. 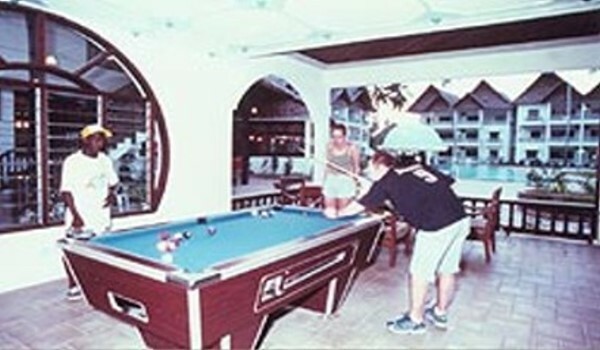 After relaxing, you can enjoy another opportunity to search for the game.? You arrive back at your coastal hotel in the early evening. Leaving the coast in the mid-afternoon, you drive up to the cool green Shimba Hills Reserve for a short game drive before checking in at the Forest Lodge in time to depart for a sundowner at Marere Point. Return to the lodge for dinner overlooking the floodlit waterhole.At sunrise the next morning, a game drive through the reserve with chances of seeing Buffalo, Antelope and maybe even Elephant. Return to Shimba for breakfast. After breakfast, drive back to your coast hotel. Day 1: Drive inland to Tsavo East National Park - 120km. 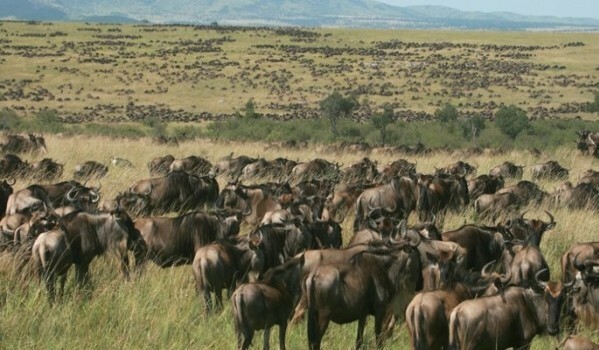 The biggest National Park in Kenya covering an eare of about 11.652 Square Kilometers.? Morning is spent? game driving amongst the herds of Elephants, the Red Elephants name originating from too much bathing in the red soil in Tsavo East and plains game. An excellent buffet lunch awaits you at the Voi Safari Lodge. A lodge built on top of a hill giving you a brilliant panoramic view of Tsavo East Park the two waterholes below are also a very big attraction for big herds of Elephants and Water Buffalo?s.? The underground tunnel takes you as close as 3 - 4 metres away from the animals what a nice photo hide! Relax by the pool before going down for the late afternoon game drive back to the lodge for dinner and overnight. Day 2: Early morning game drive before breakfast always on the look out for Lions or Cheetahs back to the lodge. After breakfast a game drive enroute to Voi Town where your lunch will be waiting at a hotel before driving back to your coastal hotel arriving in the late afternoon. Day 1: Drive inland to Tsavo East National Pack. The morning is spent game driving among the herds of elephants and plains game. An excellent buffet lunch awaits you at Voi Safari Lodge while looking at the herds of elephants and buffalo. Thereafter, game drive enroute to Tsavo West National Park. Afternoon Game drive dinner and overnight at a Safari Lodge. Day 2: Early morning game drive including a visit to Mzima Springs Game Drive until lunch hours. Have lunch and drive back. Arrive at your cost hotel in the early evening. Day 1: Drive inland to Tsavo East National Park. Visit Voi Safari Lodge for lunch. After lunch, drive on to Taita Hills Lodge for check in to the beautiful Salt Lick Lodge, built on stilts overlooking floodlit water hole and saltlicks. The evening is spent viewing game and enjoying a quiet sundowner before dinner. 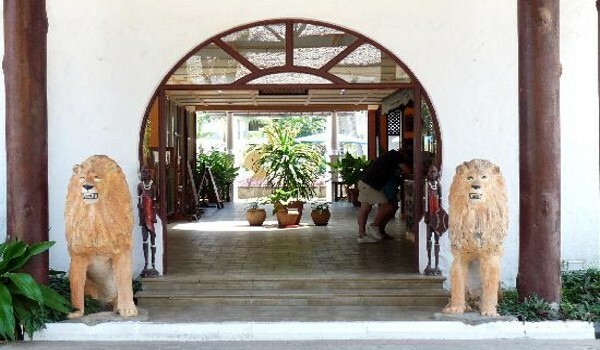 Day 1: Drive inland to Tsavo East National Park visiting Voi Safari Lodge for lunch. After lunch, drive to the Tsavo West National Park for the afternoon game viewing. 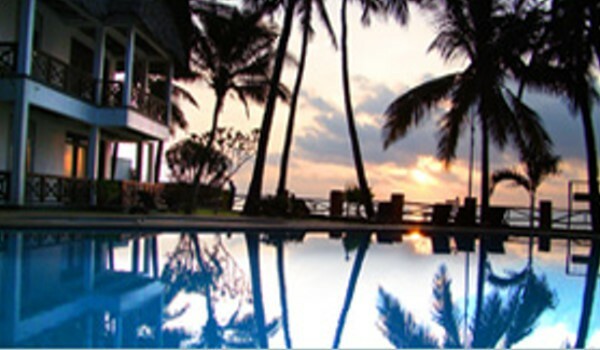 Check in at the Ngulia Safari Lodge for dinner and overnight stay. Day 2: Early morning game drive after a very early morning breakfast. Game viewing, which includes a visit to the Mzima watersprings. Back to Ngulia Safari Lodge for lunch. After lunch, drive onto Taita Hills Lodge for check in to the beautiful Salt Lick Lodge built on stilts overlooking the floodlit waterhole and Salt Licks. The evening is spent viewing game and enjoying a quiet sundowner before dinner. DAY 1: Morning departure from your coastal hotel drive into the Tsavo West National Park surrounded by the Chyulu Hilss and the Pare Mountain enter the park and continue with your morning game drive which does include a visit to the Mzima Spring a Water Spring that produces more than 95 Million gallons of Water everyday. Hippos, Crocodiles and Fish can be seen and viewed through the observation tunnel, check-in at the Ngulia Safari Lodge for lunch. Relax at the lodge before the late afternoon game drive back to the lodge for the dinner and overnight. DAY 2: Morning game drive after breakfast enroute to Tsavo East National Park enter the park continue with your game drive enroute to Voi Safari Lodge for lunch. Relax at the lodge enjoying the panoramic view of Tsavo East National Park from the lodge built on the top of a hill the two waterholes below one is still a good attraction for herds of Elephants and Water Buffaloes. Closer view of the animals can be made by going through the underground tunnel where animals can be seen about 3 - 4 meters away, afternoon game drive which is normally an ideal time to spot game. Dinner and overnight at the lodge. Day 3: Morning game drive before breakfast. After breakfast game drive enroute to Voi town for lunch. Drive back to your coastal hotel arriving in the late afternoon. Day 1: Depart resort at 7.00 a.m. drive inland to Tsavo East National Park the biggest National Park in Kenya covering an area of about 11,655 Aq. Km. Morning game drive via Aruba Dam a man made dam which obtains most of its water from the Taita Hill a buffet lunch awaits for you at the Voi Safari Lodge built on a hill overlooking some two waterholes which are a big attraction for animals. Then relax at the lodge before going for the afternoon game viewing. Dinner and overnight at the Voi Safari Lodge. Day 2: Early morning game drive before breakfast, drive to Tsavo West National Park after breakfast with game drive enroute to Ngulia Safari Lodge for lunch afternoon game drive after lunch which includes a visit to Rhino Sanctuary, back to Ngulia Lodge for dinner and overnight you maybe as well lucky and spot a Leopard at a very close range at the lodge. Day 3: Morning game drive after breakfast which does include a visit to the Mzima Spring a Water Spring that produces more than 95 Million gallons of Water everyday which has created a place of stay for animal like Hippos, Crocodiles and varieties of Fish the underwater observation tunnel gives you a clear view of the animals in the water. 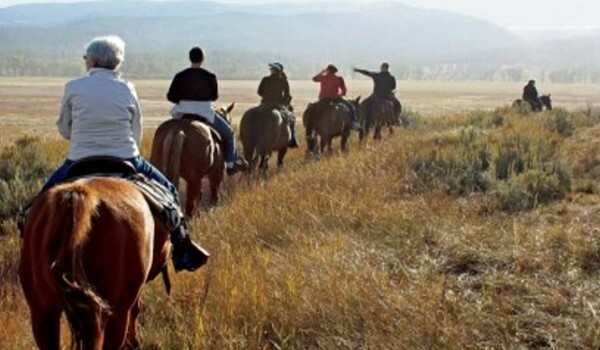 You will then proceed to the Taita Hills Wildlife Sanctuary arriving on time for lunch afternoon game drive in the sanctuary stopping at the Saltlick Lodge built on the stilts overlooking the waterholes for dinner and overnight. Day 4: Morning game drive before breakfast and after breakfast with lunch enroute to Mombasa arriving at the resort in the late afternoon. An excellent opportunity to combine a visit to Kenya's largest park, Tsavo with Amboseli, described by Hemingway as the very essence of Africa. Right on the Tanzanian border, Amboseli enjoys a spectacular backdrop - snow-capped Mount Kilimanjaro, Africa's highest mountain. To the west of the park, a seasonal lake attracts water-fowl, although most of the year it is merely a dry bed of soda where desert mirages dance across the surface. Most of the game is drawn to the swamps and permanent water in the center and south of the park. Sightings include: elephants, buffalo, lions, wildebeest, giraffes, zebra and baboons and the endangered black rhino. DAY 2: Morning game drive at the Tsavo West National Park enroute to Amboseli via Mzima Sprins a water spring that produces more than 95 million gallons of water everyday, animals like hippos, crocodile and fish can be seen through the observation tunnel which is a glass in the water, lunch at the Amboseli Lodge or Serena Lodge relax at the lodge before the late afternoon game drive which is ideal time to spot game. Dinner and overnight stay at the lodge. DAY 3: Morning game drive in Amboseli after breakfast drive to Tsavo East National Park home of the red Elephant, game drive enroute to Voi Safari Lodge for lunch relax at the lodge overlooking the two waterholes which are a very big attractions for animals, afternoon game drive in the park back to the lodge for dinner and overnight. DAY 4: Morning game drive before breakfast, a game drive enroute home after breakfast via Bachuma gate / Voi gate. An excellent opportunity to combine a visit to Kenya's largest park, Tsavo East and West with Amboseli, described by Hemingway as the very essence of Africa. 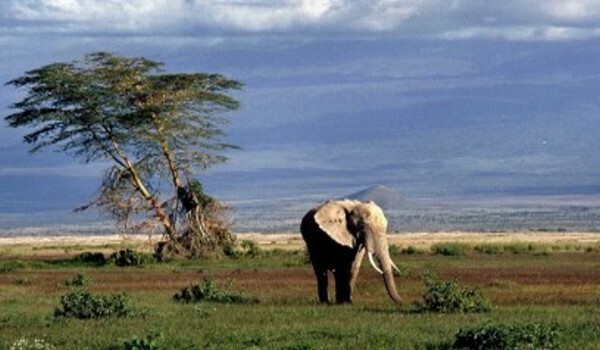 Right on the Tanzanian border, Amboseli enjoys a spectacular backdrop - snow-capped Mount Kilimanjaro, Africa's highest mountain. To the west of the park, a seasonal lake attracts water-fowl, although most of the year it is merely a dry bed of soda where desert mirages dance across the surface. Most of the game is drawn to the swamps and permanent water in the center and south of the park. Sightings include: elephants, buffalo, lions, wildebeest, giraffes, zebra and baboons and the endangered black rhino. 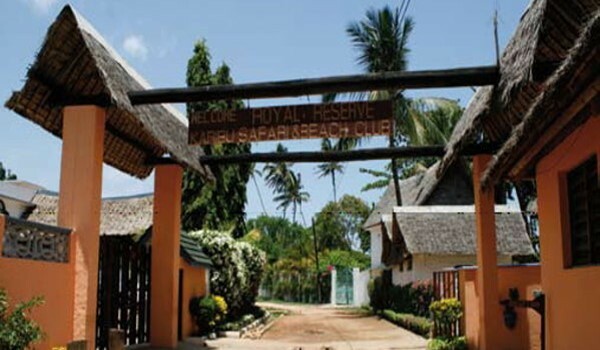 DAY 1: Leave your coastal hotel and drive to Tsavo West National Park. Lunch at Ngulia Lodge. Afternoon game drive which usually includes a visit to the rhino sanctuary. Return to the lodge for dinner and overnight. DAY 2: After an early breakfast, drive north-west to Amboseli National Park via the Mzima Springs. Water originating from Chyulu Hills bubbles out of the lava and fees a small, crystal clear lake, home to many fish, crocodiles and hippos. Lunch at Amboseli Serena Lodge. Relax at the lodge before the late afternoon game drive. This is normally an ideal time to spot game. Dinner and overnight at the lodge. DAY 3: Early morning game drive in Amboseli National Park. Return to the lodge for breakfast. Drive to Tsavo East National Park. Morning game drive stopping at Voi Safari Lodge for lunch. Relax at the lodge before the late afternoon game drive. Dinner and overnight at Voi Safari lodge. DAY 4: Early game drive in Tsavo East National Park return to the lodge for breakfast. Drive to Taita Hills Wildlife Sanctuary. Afternoon game drive. Dinner and overnight at Saltlick Lodge built on the stilts overlooking the floodlit waterhole. DAY 5: Early morning game drive before breakfast return to the lodge, after breakfast drive to your coastal hotel. This special safari offers two full days away from your hotel with the experience of a lifetime in the prolific Maasai Mara area with Full Game Drives and accommodation in a comfortable permanent tented camp. Dinner is around a campfire and each game drive is full of new and exciting experiences. 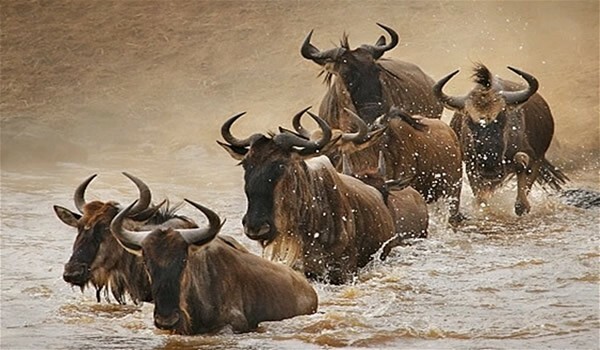 Leaving early in the morning, you fly directly into the fabulous Maasai Mara to spend two nights in the area with six game drives amongst the great wealth of game which include the Blackmaned Lion, herds of Elephant and Buffalo and a wide variety of plains animals. Your return flight is in the afternoon of the third day. Balloon safaris can be organised on request. All safaris are on full board basis including all game fees. Extra would only be drinks and tips. 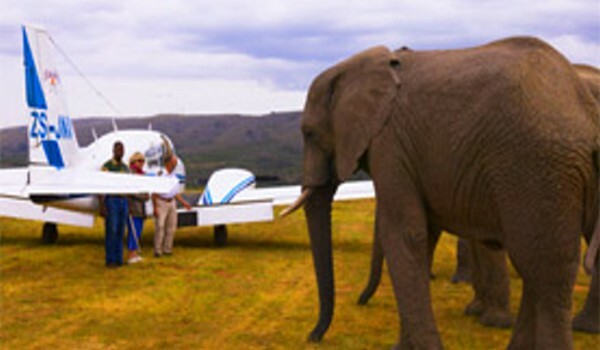 Children under 12 years would go on half price off road safaris and 25% off air safaris. 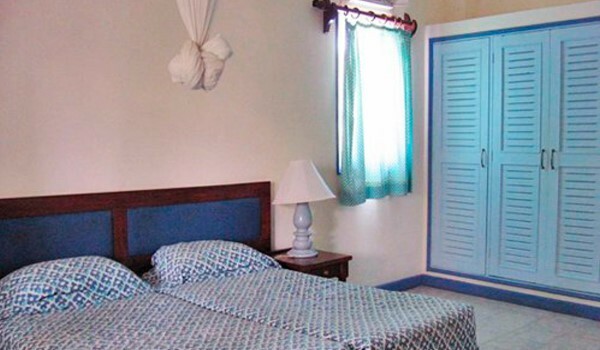 Half price for children applies only if a child is sharing one room with two adults. Children are not permitted at the Salt Lick Lodge. Payment for all tours can be made in Sterling, Dollar, Kenya Shilling, Travelers Cheque, or Credit Card i.e. Master Card, Visa Card. Also please for current rates and any other questions you may have. We use the following process to check availability and make reservations at the resort and to match up your request with a timeshare owner that has an available week for rent. 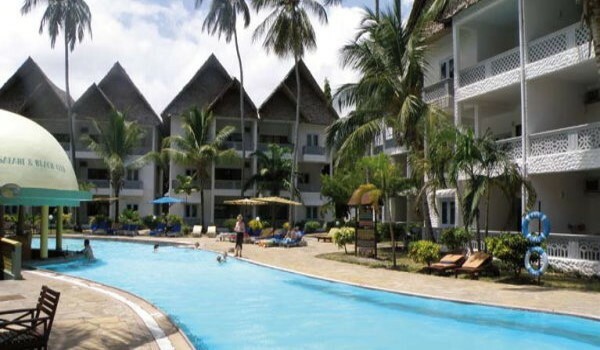 Please keep in mind that since the Royal Reserve are timeshare resorts and units are owned and rented by timeshare owners only, check-in days are on Friday, Saturday, or Sunday and for stays in seven night increments. These procedures are designed to conform to resort policies and to protect both the timeshare renter and timeshare owner from financial loss. 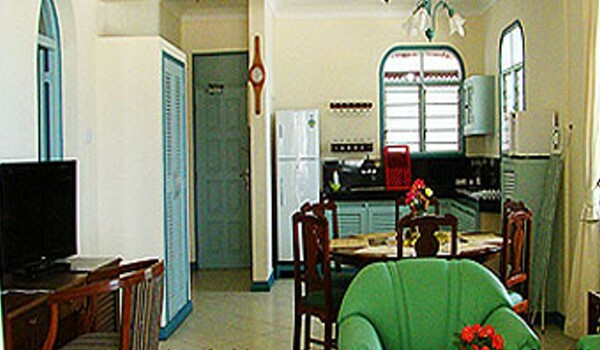 The reservations on these go quickly and are subject to availability at the point you contact us. You make a $50 (USD) deposit to our PayPal account by clicking on the "Request" button. Availability will be re-checked by us directly with the Royal Reserve resort. We match up your reservation request with an available week from a timeshare owner. 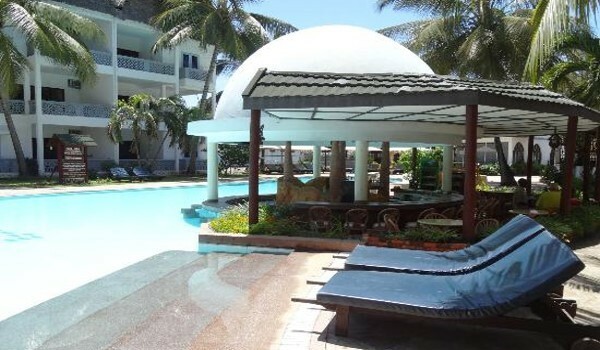 We obtain a confirmed reservation on this unit in your name as guest and provide you the confirmation number which you will be able to verify directly with the resort. If we are unable to obtain a confirmed reservation your deposit will be refunded in full. You will complete and sign a rental agreement that will be sent to you after the deposit is receieved and the reservation confirmed. No reservations are considered complete until a deposit is made, confirmation numbers are obtained, and the signed rental agreement is returned to us. You should not make airline reservations or car rental plans until all the steps of the reservation proces are completed. You should not make airline reservations or car rental plans until after you have made a deposit, obtained a confirmed reservation via email, verified it with the resort, and signed the rental agreement. We can make no assurances with regards to reservations at the Royal Reserve until all the steps of the reservation proces are completed. Balances are due 14 days after obtaining a confirmed reservation, this will allow you time to complete other travel plans. Click Here and Save with the best Internet prices on airfare, car rentals, and more. The last day for canceling a confirmed reservation to get a full refund minus a $50 processing fee would be 45 days prior to check-in. If the confirmed reservation were made within 45 days of the arrival date then cancellations would only be permitted within 24 hours of obtaining a confirmed reservation unless prior arrangements have been made. Please if you have any questions about the Reservation Process. Cancellation notices must be made by e-mail and phone. Full cancellation allowed prior to a deposit being made. The timeshare guest may cancel a reservation after a deposit is made as long as it is at least forty-five days prior to the check in date (resort policy). 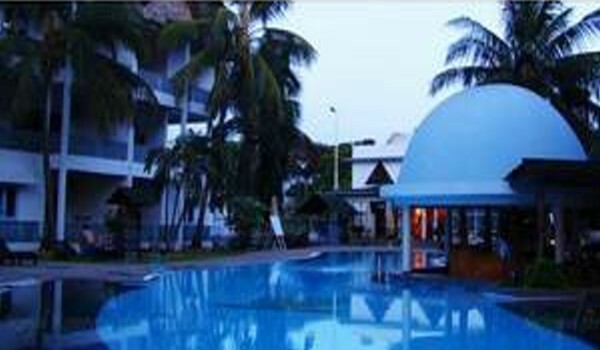 The timeshare guest shall receive a refund of all monies paid minus Fifty Dollars to cover administrative costs. Depending on the timeframe and other mitigating circumstances it may also be possible to refund the Fifty Dollar administrative fee, usually if the cancellation is made within three weeks of making payments. Check with us before cancelling. 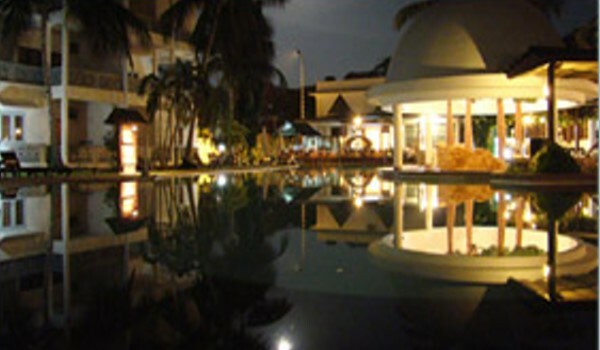 No cancellations permitted after forty-five days prior to the check in date. If the deposit and/or payments were made for reservations where the check-in day is less then forty-five days away then a cancellation may be made within 48 hours of obtaining a confirmed reservation. No refunds will be permitted as a result of a failure by the timeshare guest to occupy and use the rental unit. Click here to read the complete Rental Terms and Conditions. Please if you have any questions about the Cancellation Policy. Please if you have any questions about the Royal Reserve.